Blood transfusions can be life savers. Strict precautions must be followed when giving a recipient someone else’s blood, however. If the wrong blood types are combined, the results can be deadly. New research may lessen the risk significantly as well as increase the usefulness of transfusions by producing a helpful blood type. The researchers have discovered how to turn other blood types into type O. This type of blood can be safely given to many people and in some cases to everyone. The most important blood typing systems with respect to transfusions are the ABO blood group system and the Rh system. 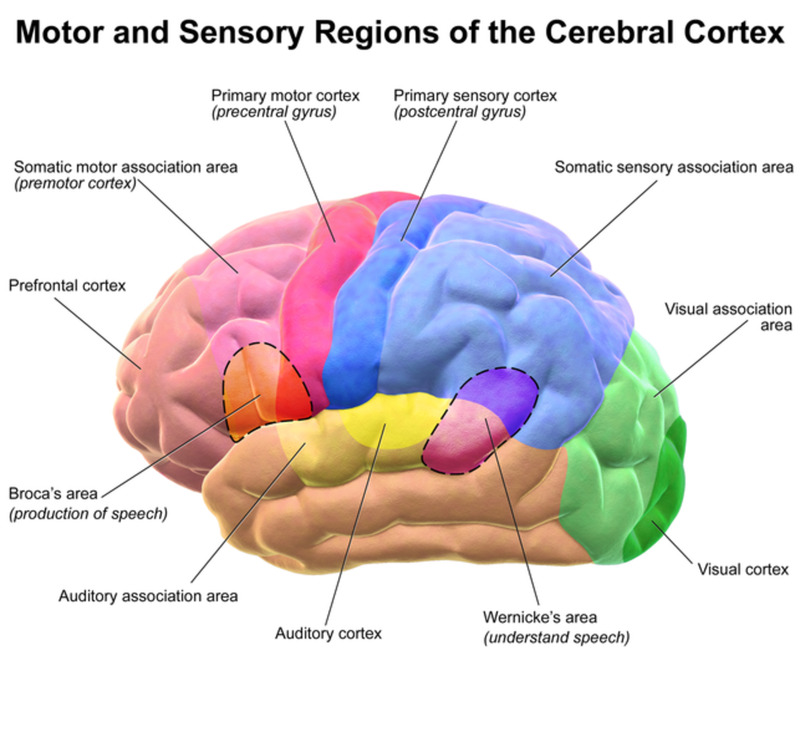 The latter system is based on the rhesus factor. The most useful blood type for transfusion is O negative (type O blood without the rhesus factor). This is known as the universal donor type because it can be given to all people. 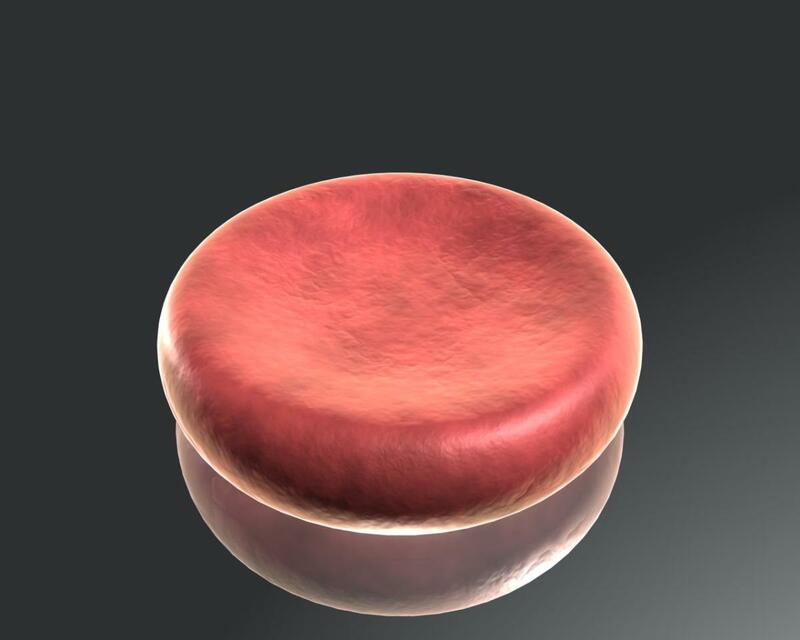 Red blood cells (erythrocytes) transport oxygen to cells. 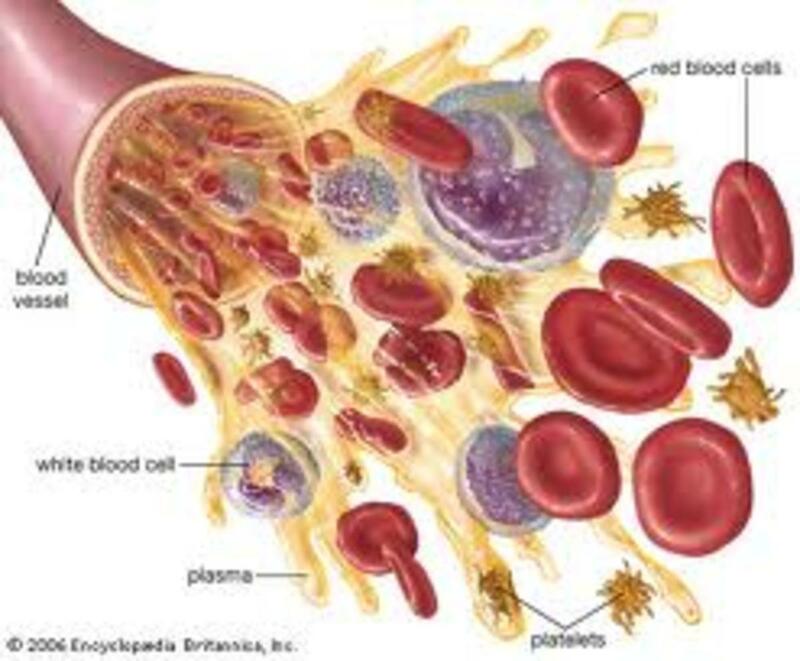 Platelets (thrombocytes) help blood to clot when we're injured. White blood cells (leukocytes) are part of the immune system and fight invaders, including red blood cells of the wrong type. Formed elements are transported by the liquid part of blood, which is known as plasma. 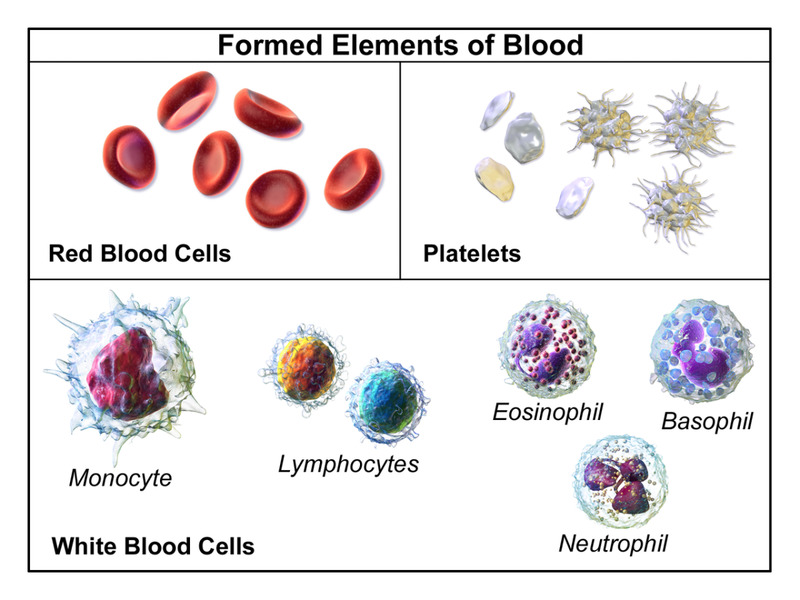 Human blood exists as four major types: A, B, AB, and O. The designations are based on the identity of antigens on the cell membranes of red blood cells, or erythrocytes. An “antigen” is defined as a substance that’s capable of triggering a response from the immune system. 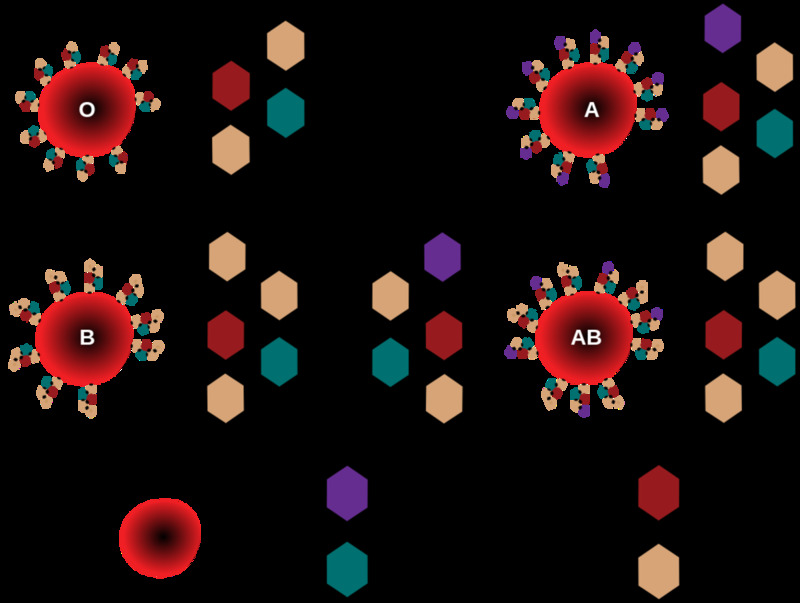 The relevant erythrocyte antigens with respect to blood transfusions are designated as A and B. Type A blood has the A antigen. Type B blood has the B antigen. 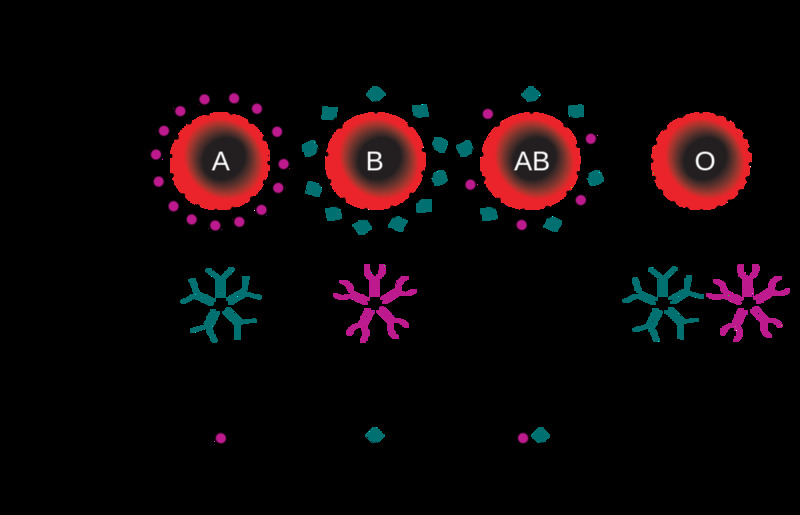 Type AB blood has both the A and the B antigen. Type O blood has neither antigen. 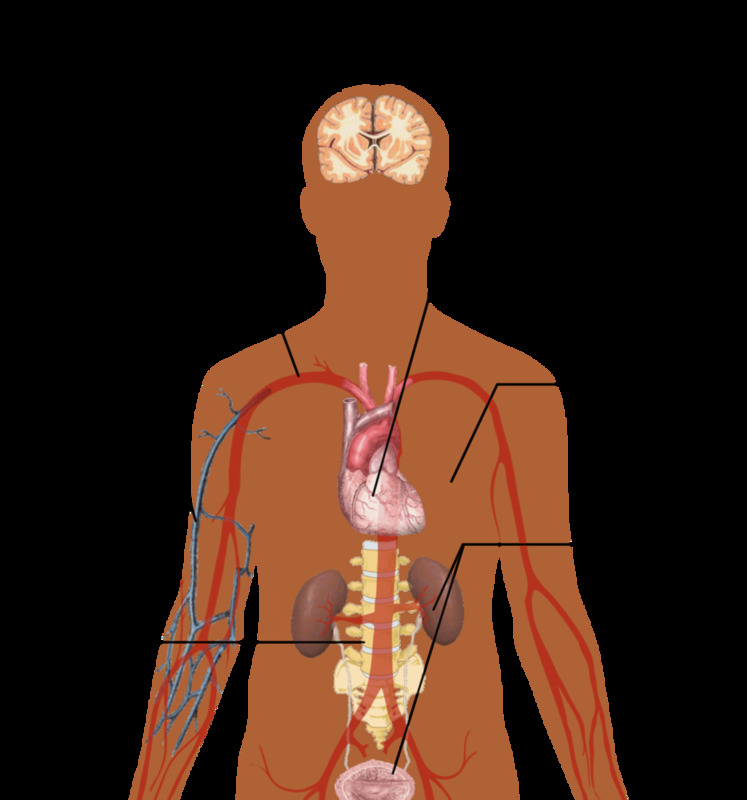 The immune system produces proteins called antibodies to attack antigens and the cells that bear them. A person makes antibodies that will attack invading blood of the wrong kind. Someone with type A blood makes antibodies that attack B antigens (but not ones that attack A antigens, or the person’s immune system would destroy their own erythrocytes). Someone with type B blood makes antibodies that attack A antigens. Someone with type AB blood makes neither antibody. Someone with type O blood makes both antibodies. The table and illustration below summarize the ABO blood group system. The rhesus factor is another antigen on red blood cells. The term "rhesus" is considered obsolete by some investigators, who prefer the use of Rh. About 85% of the United States population has the rhesus antigen and is said to be Rh+. People without the antigen are said to be Rh-. Although the terms rhesus factor and rhesus antigen are generally used in the singular, they actually refer to a group of related antigens. The most common member of the group is the D antigen. When someone is said to be Rh-, it usually means that they lack the D antigen. In an emergency, if type O- blood is unavailable, type O+ blood may be used as a universal donor blood type and given to Rh- people (as well as Rh+ ones). This is possible because unlike the case in the ABO system, an Rh- person doesn't make antibodies to the rhesus antigen until sensitization occurs. This isn't a rapid process and requires repeated exposure to the antigen. Receiving the O+ blood puts a patient one step closer to sensitization, however. The same point applies if they are given another type of Rh+ blood. The distribution of blood types depends on ethnicity and the gene frequency in a population. AB- is the rarest type in the United States and O+ is the most common. Someone with type O- blood is said to be a universal donor. Since their erythrocytes lack A and B antigens as well as the rhesus factor, their blood won’t trigger any recipient’s immune system and can be given to everyone. Type O- blood is the most useful type to have in a blood bank. Universal donor blood is very helpful in an emergency when there isn't time to determine the patient's blood type or where the technique is unavailablé. Incompatibility reactions are uncommon in many places because medical staff are well aware of the problems that can occur by mixing the wrong blood types and follow careful procedures. Mistakes occasionally happen, however. If a mistake is made, the patient needs to be treated right away. If the treatment is prompt and correct, the patient will probably recover. 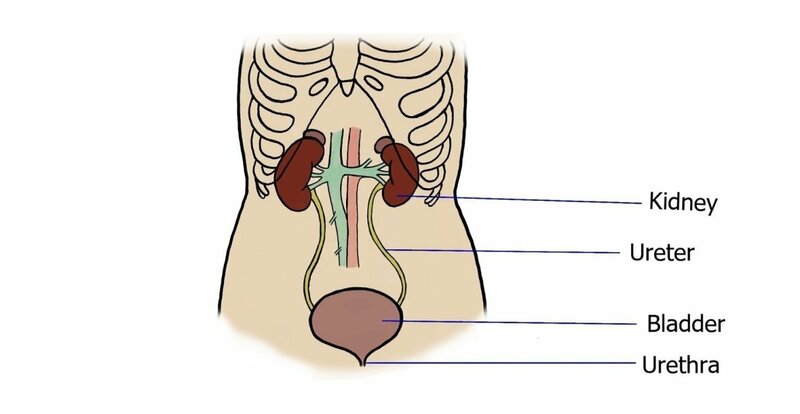 If prompt or correct treatment isn't provided, the patient may experience kidney failure and may not recover. 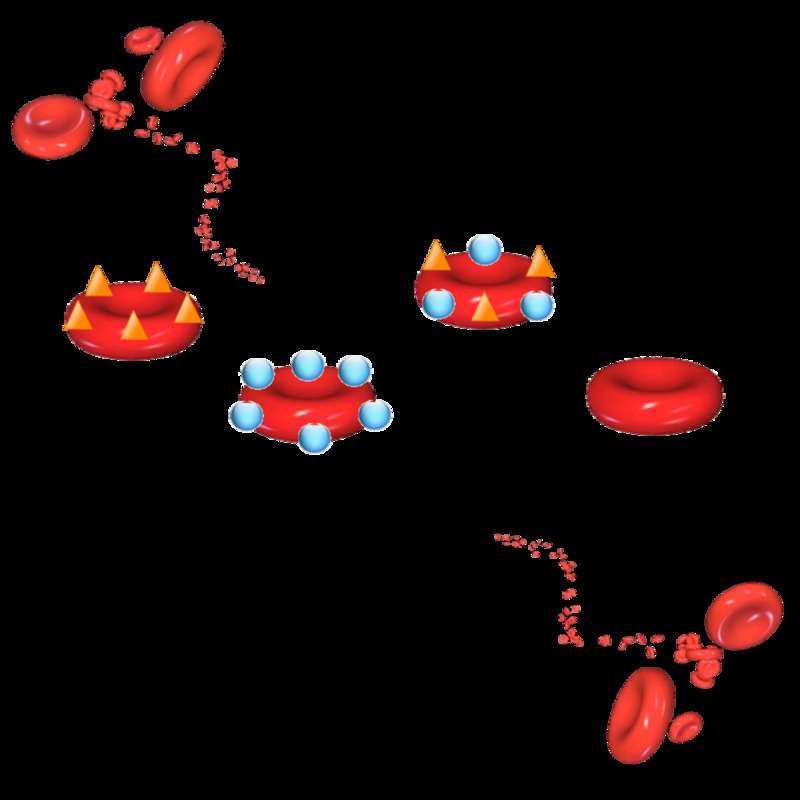 As the illustration below shows, type O red blood cells have chains of molecules attached to their cell membrane that resemble those of the A and B antigens. Our body doesn't recognize the type O chains as antigens, however. 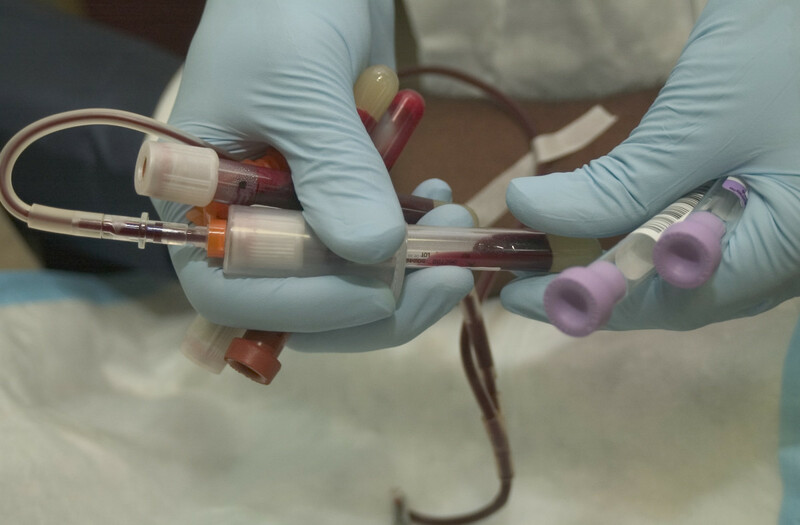 A "universal" blood type in blood banks would end incompatibility reactions. It would also allow the banks to make the best use of donated blood when the supply is low. Blood blanks often make an appeal for new donations. Maintaining a suitable stock of blood that is useful for everyone seems to be a problem. Enzymes that digest erythrocyte antigens might be very helpful. 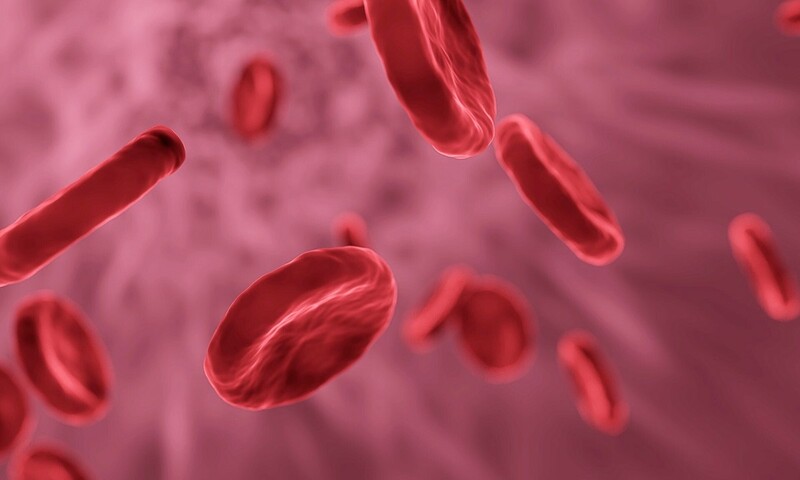 Scientists have been studying how to modify the antigens of red blood cells for a long time. In the 1980s, researchers from the United States discovered that an enzyme from green coffee beans could remove the B antigen from blood cells. In 2007, Danish researchers found that an enzyme from a gut bacterium called Bacteroides fragilis could remove the B antigen. In addition, they discovered that an enzyme from Elizabethkingia meningosepticum (or meningoseptica) was able to remove the A antigen. The Danish researchers said that their enzymes were more efficient than previous ones. The enzyme from B. fragilis was reportedly used up at one-thousandth the rate of the coffee bean enzyme, for example. In 2015, UBC researchers obtained a useful enzyme from a bacterium named Streptococcus pneumoniae. The enzyme was able to remove red blood cell antigens. Enzymes are a type of protein. Like all proteins, they are made of amino acids. The order of the various amino acids and the shape of the molecule determine the identity of the protein. The researchers changed the order of the amino acids in the bacterial enzyme five times until they had created a molecule that digested the greatest number of antigens. The discoveries described above show that the antigens of erythrocytes can be removed. None of the enzymes have become available in blood banks yet, however. The ones found by the Danish scientists sound intriguing, but I've seen no reports about them that were published more recently than 2007. A new discovery reported in 2018 seems hopeful, however. In order to be medically useful, an enzyme must destroy all of the relevant antigens on all of the erythrocytes in donated blood. If any antigens remain in the blood, they will activate the recipient's immune system. In addition, the process must be efficient. A small amount of enzyme must produce a big result. A recent discovery at the University of British Columbia may be a major step towards these goals. The UBC scientists have discovered how to transform another blood type into type O with thirty times more effectiveness than previous methods. The scientists used metagenomics in their search for useful enzymes. Metagenomics is the study of genetic material in the microorganisms found in a particular environment. A range of specialized and automated devices helps scientists to perform their analysis. The devices enable researchers to analyze millions of genetic samples relatively quickly. The researchers examined DNA obtained from both the external environment and the environment in the human gut. They identified bacteria that feed on sugars found on the cells of the gut lining. These sugars are similar in structure to the molecules in the antigens on erythrocytes. The scientists found and isolated the digestive enzymes used by the bacteria. They then found that the enzymes could not only digest the antigens on the surface of red blood cells but also belonged to a new family of enzymes. The enzymes were also far more effective than previous antigen-digesting ones that have been discovered. All of the research described in this article has been concerned with removing A and B antigens. It hasn't dealt with removing rhesus ones. Before transfusions with the altered blood become a reality, we need to know whether the red blood cells with antigens removed behave normally in the body. We also need to know whether the new technique removes all of the antigens in the blood sample and whether the altered red blood cells are safe for the recipient. The process must also be efficient. The use of a huge quantity of enzyme to treat a small quantity of blood wouldn't be practical. In addition, all of the digestive enzyme must be removed before the blood enters the body of the recipient. The latest research was presented at a meeting of the American Chemical Society. I'm hoping to see a full scientific report soon. One of the researchers (and other investigators) talks of removing the A or B antigens and of converting A or B to O blood. It would be interesting to know whether the entire chain of molecules making up the A or B antigens is removed or whether the red blood cells are left with chains that are the same as the ones found on type O erythrocytes. The UBC researchers plan to hold larger tests on the enzymes that they've discovered. Eventually, they hope to perform clinical trials. They must demonstrate both safety and effectiveness before they do this. The end result could be the availability of a very useful process. The researchers may also learn more about human biology as they study and manipulate the blood cells, which would be another useful outcome of their research. Won't all these manipulations of blood types from microbes have side effects? They may. On the other hand, they may be very helpful. A lot of research is required before the altered blood cells are used. They aren't ready to use in humans yet and may not be for some time. Thanks, Liz. It's a very interesting topic. I have read about this development recently in the media, but your article gives a more detailed explanation. Hi, Bede. I hope the procedure is refined, too. It needs to be before it can be used in humans. It would be great if it eventually helps people. Thanks for the visit. Thank you for sharing your experience and for the kind comment, Jackie. I always appreciate your visits. This is optimistic news, Linda. I hope they can refine the methods for producing type O blood and thereby help more people. Thanks for the up-to-date info and for helping me re-learn things forgotten. This is really fascinating. I am not sure about the O but I do have negative blood and I know I can have no other kind because my blood would fight it. The two times I was pregnant back when there was not so much knowledge I had to wait til my babies were born to see they were not positive but negative like me so my body did not fight against them to cause me to miscarry (which could well have happened earlier) or other problems that could have occurred. I don't suppose I could have positive still but I do know they solved the baby issue with just a shot. None of us are geniuses yet Linda, but you are helping educate us greatly! I appreciate your comment, Manatita. We do live in an exciting time for biology and medical research. A lot of very promising discoveries have been made. I hope they prove useful. Well done and at the same time very promising report. Having a universal donor always at hand can save so many lives! We live in an exciting time for research and there is much hope and promise. Perhaps we need to work on cancer, diabetes and heart attacks just as hard. Excellent work, Alicia. Thanks for the visit, Bronwen. The competition that you describe does sound like a great idea. I love the name Bloodisloe Cup, too! This was such an interesting article; I enjoyed reading it. Once when supplies were low on the Queensland Gold Coast a competition was mooted between the local churches - the Bloodisloe Cup! It was a great idea and got people back to donating. Unfortunately, they didn't want mine, as I'd had Malaria, and I guess no one wanted that! Hi, Heidi. Some of the ideas being investigated with respect to blood are very interesting. I hope they eventually help us. I hope you have a great weekend, too. I also remember seeing something quite a while back about replicating blood, or an artificial substitute. If that leaps from being science fiction to science fact, that could also have a positive impact on the blood supply. Thanks for sharing this important information! Have a great weekend! Hi, Peggy. Yes, if the process is perfected it could definitely be beneficial. There's a lot to investigate before it's ready to use, though, if it ever reaches that stage. I hope it does. If this is perfected it could eventually save many lives and it would also relieve stress on blood banks having the correct types of blood on hand to meet the demand. This is interesting! Thank you for such a kind comment, Lela! I appreciate your visit and what you have said very much. Alicia, I am very impressed with this article! As a Medical Laboratory Scientist of 38+ years, specializing in Blood Banking, I saw so few nurses, and even doctors, who had this level of understanding of the transfusion process. Thanks for being so knowledgeable, and thorough on such a complex subject. I will probably refer all questions about blood typing and transfusions at Quora to this article. Bookmarking it now. Hi, Bill. It's interesting to know one's blood type. I found out mine when I was a child, though I don't remember exactly why my blood was tested. I hope you have a great weekend, too. Hi, Mary. Yes, a lot of worry could be eliminated if the process is successful and becomes widespread. It will be interesting to see how the research progresses and whether it eventually has a practical use. Hi, Pamela. I think the process is promising, too, but there are a lot of requirements in order for it to work and be safe. Thank you for sharing your experience and the interesting information. Hi, Flourish. Changing the blood type is a fascinating idea. I hope it works. I love the fact that you and your husband used to donate blood together and that you helped people by doing this. Jeez, I hate to admit this, but I don't have a clue what type of blood I have. I should probably find out, don't you think? Anyway, as always, I learned much from your article. Have a great weekend, Linda! This is indeed an important discovery and hopefully, this study can move forward with other advanced discoveries. Am always concerned when surgeries take place in the family as it might need blood transfusions. This worry could be eliminated wit this discovery. Linda, This process sounds promising yet I have reservations about the process always being done 100% correctly. I imagine the FDA has to sign off on this new blood, so it will be safe. As a nurse I saw a patient that got the wrong blood many decades ago. Rules changed in the hospital after that, such as only a RN could give blood, and two RN's had to check the blood before it was hung. Things can get pretty dicey in an emergency situation, but this new procedure was absolutely necessary. The scare at that time was also receiving blood with the HIV virus. Many patients have donated their own blood before a surgery that was more likely to require a transfusion. This article is so interesting, as there is often a blood shortage and if their was more O negative blood that would greatly help. This is fascinating that the possibility exists to modify the blood type, as it would relieve the pressure on universal blood donors to donate so frequently. My husband is a universal donor and he and I used to regularly donate blood together as a community service but then he’d get high pressure calls the day he was eligible to donate again and they eventually turned me down because I have MS. We stopped donating altogether. My dad faced a similar pressure and reacted the same way unfortunately.